Tenant rights advocates in Oakland have joined in a nationwide campaign for affordable housing that would toughen rent controls in Oakland. “Oakland is a melting pot, but it won’t be if rent keeps rising,” lifelong Oakland resident Zane Burton said. 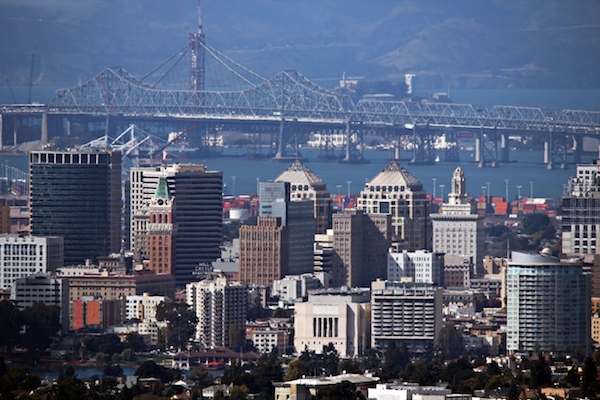 Rents in Oakland increased 34 percent between 2011 and 2015, making Oakland the fourth most expensive housing market in the country, according to an estimate from the Alameda County Board of Supervisors. Measure JJ would limit the ability of property owners to increase rents more than inflation without approval from the city rent board. It also would require the city to mail out an annual notice about the Oakland rent-adjustment process, including information on rental disputes, rent increases and evictions. Landlords are responsible for distributing such material now, but critics say very few renters ever receive the information they need. The ballot measure also would require property owners to submit annual reports to the city council listing all rent increases and eviction notices. Landlords oppose the measure, suggesting they are being demonized for a problem with deeper roots. Doug Smith, president of a property-owning company called Fuller Enterprises, said large technology companies help push property values higher in the Bay Area and should take more responsibility to keep rents affordable. He serves as a board member of the Southern Alameda County Rental Housing Association and oversees dozens of rental disputes each year. Smith said more rent control isn’t the answer, arguing that controls wind up benefiting some individuals making six-figure incomes. At last week’s demonstration, demonstrators told stories about losing their homes without knowing what laws might have protected them. Organizers Camilo Sol Zamora and Alma Blackwell said they want to bring more attention to the housing crisis in Oakland. Allies include the Alameda Labor Council, an organization of labor unions representing about 100,000 workers in Alameda County. Josie Camacho, executive secretary-treasurer, said the November ballot measure addresses a critical problem for working families. She said the labor council also supports Measure A1, which would a $580 million bond to build more affordable housing. Demonstrators outside Oakland City Hall took part in the national Renter’s Day of Action. Camilo Sol Zamora, Lead organizer for Causa Justa and the Oakland Renter’s Day of Action talks to the crowd about Measure JJ. Causa Justa member, lifelong Oakland resident Zane Burton holds a homemade sign to protest unfair rent increases. Alma Blackwell, Causa Justa housing rights activist and Phil Hutching, an Oakland resident. A pin worn by Camilo Sol Zamora. Petreni Reeder holds a sign supporting Measure JJ, an initiative on the November ballot. Petreni Reeder, recently displaced by her landlord Doug Smith from a Fuller Enterprises owned building. My comment is in direct response to statements made in this article by DOUG SMITH. It’s clear that he represents only the interests of the Landlords by trying to divert their responsibility for the rising cost of rents to include the County or other governing entities. When in fact, based on the recent increase in demand for rental units in the Bay Area, LANDLORDS ALONE, were the driving decision makers chosing to evict even their best long-standing Tenants in order to obtain massive financial gains to their overall Net Profits. Sure their are occasional needs to increase rents factoring in the costs to properly maintain property and cover taxes. But FAIR INCREASES in rent for these reasons should be based on the rate of inflation (as rent control would manage), NOT based on DEMAND!!! The Landlords have given absolutely zero driving financial factor as to why they chose to increase rental rates by 30 % or even 50%. Doug Smith is server on a Board representing property owners, so he is paid to protect them and protect his job by spewing whatever he feels necessary to divert the blame. I’ve worked for Property Managers and Property Owners, including having been in court evicting tenants who didn’t pay their rent for months. I’ve personally was unjustly evicted by a Landlord who’s sole reason was to avoid having to pay me “relocation fees” because he wanted to live in his newly purchased house! And despite being an superb tenant who paid rent as if it was more important than food, I had been evicted again. In EVERY case, OWNER GREED was the key factor. Having previously been homeless in Oakland, with a toddler as well, not 4 years ago, I have an honest perspective that supports HOUSING AS A HUMAN RIGHT. Yes, it absolutely IS a Social Issue, that needs to be addressed immediately because, Landlords have proven that they can’t be trusted to increase rent rates FAIRLY, based solely on their need to remodel or maintain then, RENT CONTROL must be implemented. Only expanded and more strict rent control will PROTECT THE INTERESTS OF ALL CITIZENS, not just the minimum wage Janitorial worker who cleans your Property Management office every week.